Well, it was theoretically March, but then I got distracted by the apocalyptica (and, uh, Star Wars: The Old Republic). Time will tell. No releases for several months, at any rate. but there's one night a week when they are patching...surely that's enough to get your novel done! So, 'Hunting' is not a sequel to one of the ones I haven't read, right? It's a standalone? 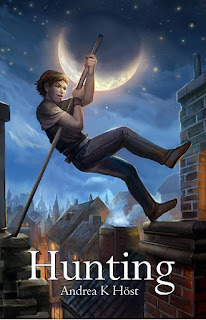 "Hunting" is a different world to the books I've released so far.